Thirteenth time’s a charm! From May 24th until 27th the 13th edition of the XPOSED International Queer Film Festival will be held in Berlin’s oldest cinema, Kino Moviemento in Berlin-Kreuzberg. As of today, the program is complete! 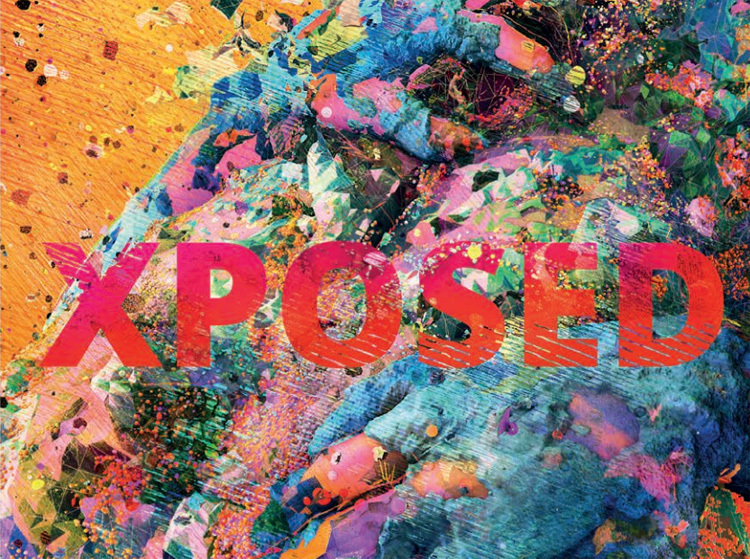 „At XPOSED we love to feel like a story has just slapped us in the face, shook us out of our own bubble and pissed all over our hearts,“ comment festival directors Merle Groeneweg and Bartholomew Sammut on their selection process. 42 queer short films from all over the world have done just this and found their way into six short film programs that explore and celebrate queerness in filmmaking and finding a way of storytelling that challenges not only heteronormativity but also conventional cinema. This year, Austria’s queer film icon Mara Mattuschka opens the festival by personally presenting her newest work Phaidros – a shrill, carnivalesque scenario based on Plato’s eponymous dialogue that plays in an LBQT+ milieu of a present-day metropolis. Mattuschka will also be our guest of honour at the Artist in Discussion session in Aquarium. Nine feature-length films and documentaries from ten countries take us into archives, both public and private, writing and rewriting stories: history, her story, our story. Filmmakers explore romantic relationships and childhood traumas, drawing upon photos and recordings of the past, interweaving them into present contemplations. New worlds are created, performance and poetry in film speaking of a time beyond manhood, killing the male, the desire to be him. We are also extremely excited to host two guest programmes this year: The Sexual Diversity Program Morelia, Mexico, with a Mexican short film programme and the Berlin Music Video Awards who will turn our yearly cinema installation into a jukebox with an eclectic selection of queer music videos playing daily. The Queer Short Film Fund goes into its fourth year and filmmakers from Berlin again have the chance to present their queer short film ideas during an open pitch session to a jury of industry professionals on May 25th. The winner receives a cash prize of €1.000 and €2.000 worth of technical services. We are extraordinarily happy and proud to celebrate the premiere of last year’s winning project Pirate Boys by Pol Merchan at the 13th XPOSED International Film Festival. On May 27th the winners of the Lolly Awards for Best XPOSED Short Film, Best German Short Film, Audience Choice Lolly Award for the BEST Short Film as well as the Queer Short Film Fund will be announced. The annual Opening Party will take place on May 24 from 23h30 at Südblock.